He just needed a little help. 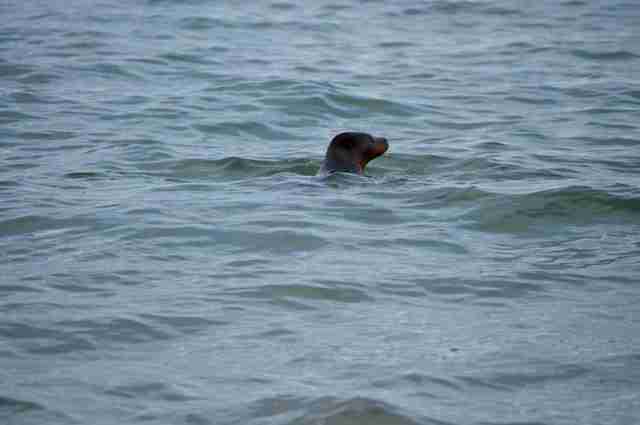 This September, people spotted a tiny harbor seal on the coast of Maine in desperate need of help. 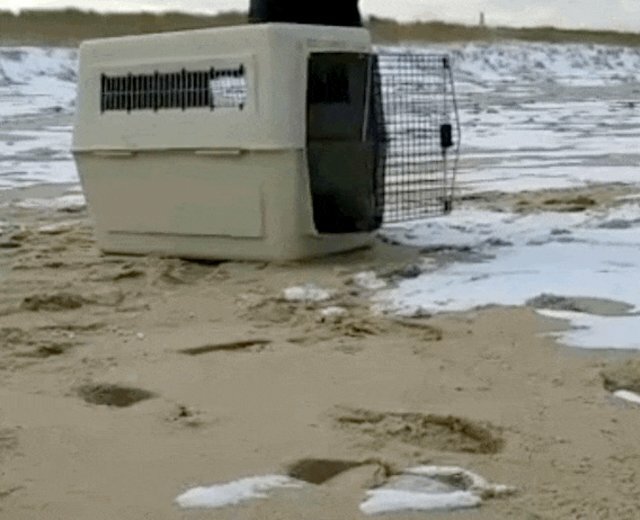 He was stranded on a beach and was too sick to move. 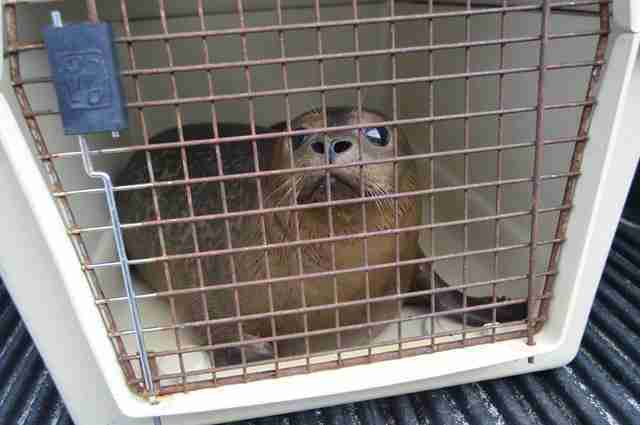 Little did he know, rescuers were on their way to help him. 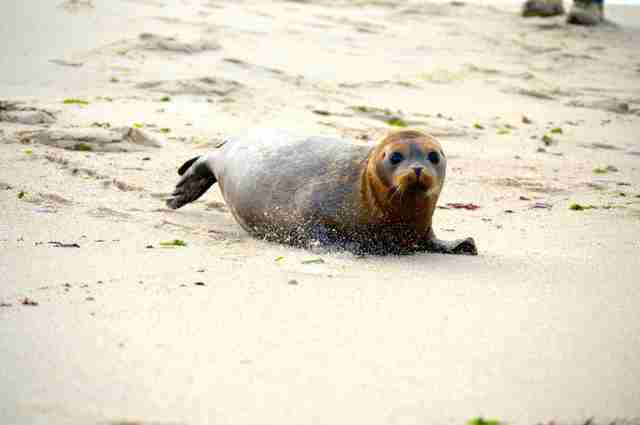 A team from the National Marine Life Center rushed to take the little seal into their care. 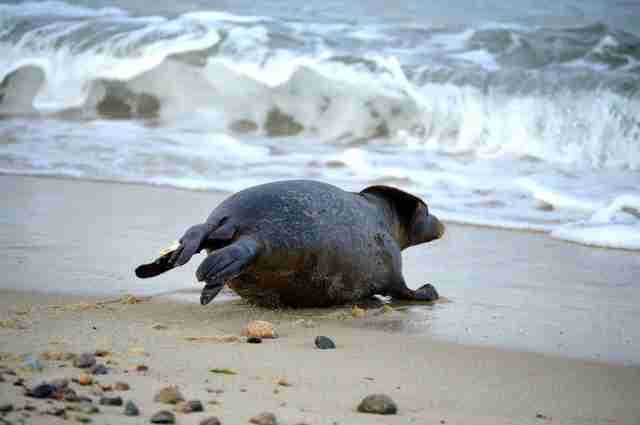 They named him Frankenseal, also known as Frank, for short. Frank had a a respiratory infection and a very heavy parasite infection, and he was also terribly underweight. It took him three months of care to get him back to normal again. 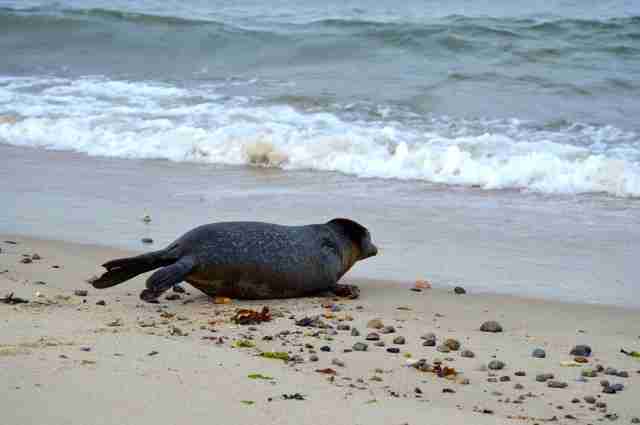 "It is not unusual to find a weanling harbor seal with illnesses such as Frank had," Kathy Zagzebski, president and executive director of the National Marine Life Center, told The Dodo. 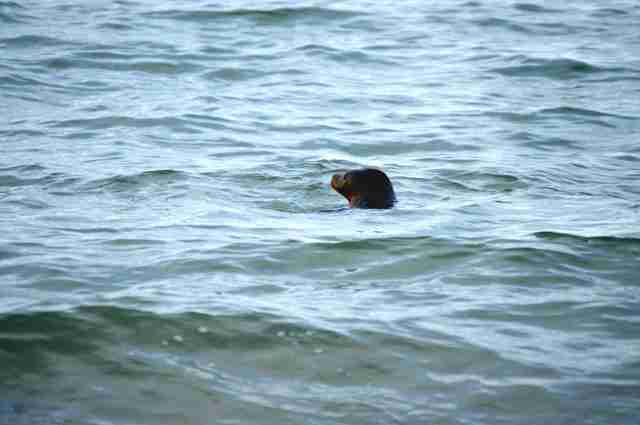 "As a younger animal newly on his own, he had less experience finding food and avoiding danger. Once he was slightly compromised, perhaps a bit malnourished from lack of food, perhaps also stressed, he would have been more susceptible to various infections." 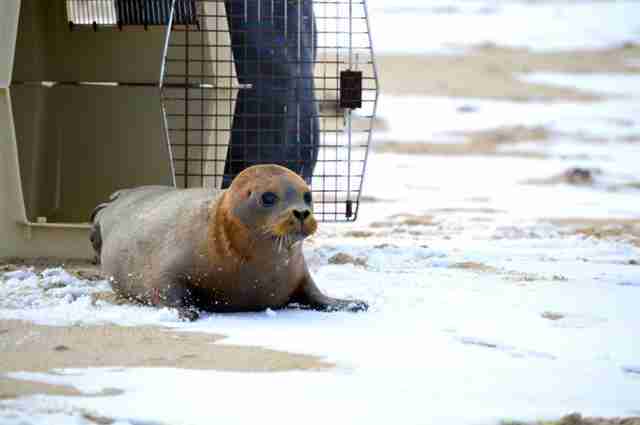 Last week, Frank was ready to be released back onto the beach. 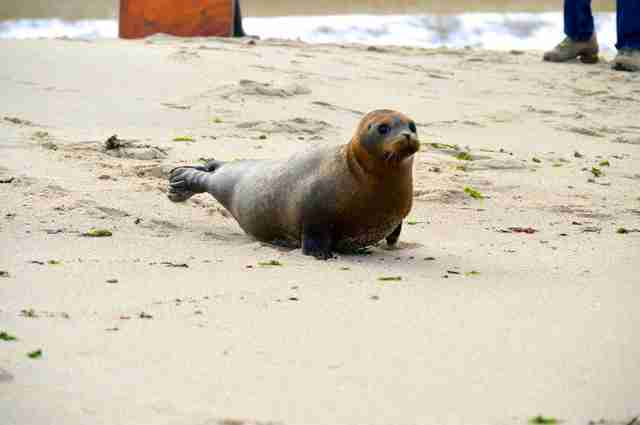 Rescuers watched as Frankenseal saw the ocean again after three whole months. 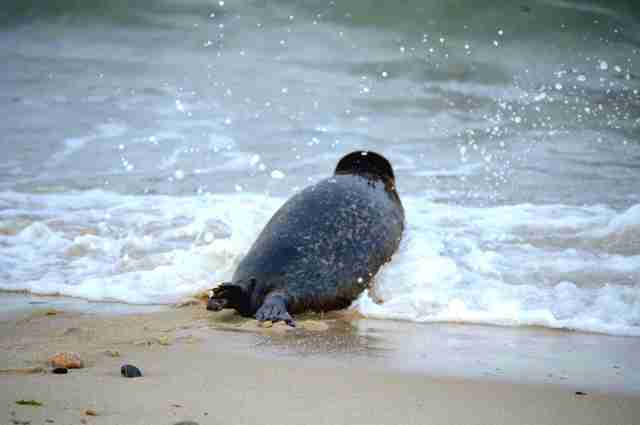 He waddled through the sand and plunged into the waves. "Frank had a fighting spirit," Zagzebski said. 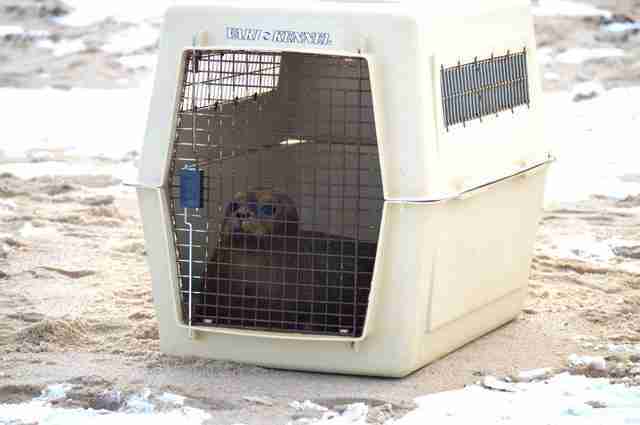 "When [one rescuer] first went in to see him, he came right to the edge of the pen and hissed at her. We love attitude like that!" So it's a good thing that people called for help. 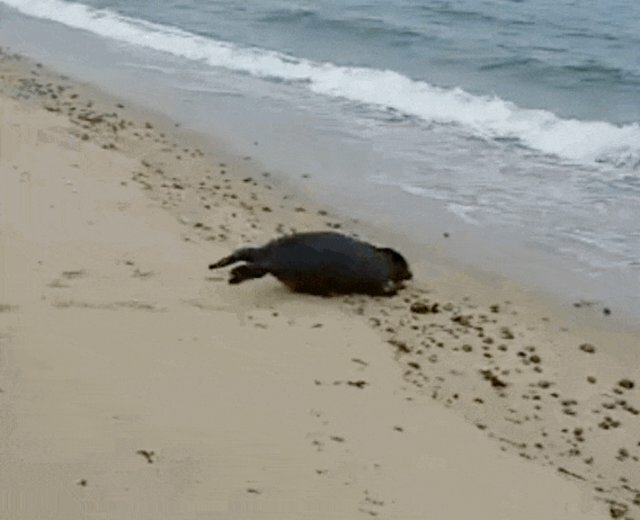 With a little help, Frankenseal got his life back. And it looks like he couldn't be happier about it. 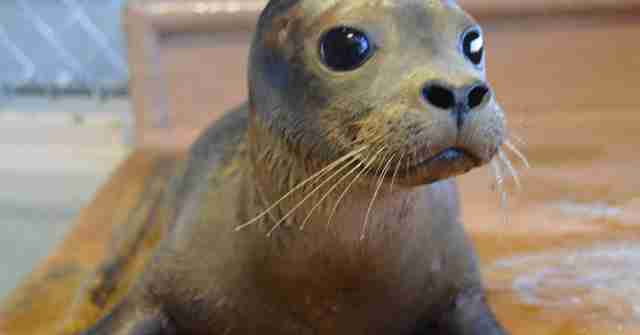 To learn how you can help the National Marine Life Center, click here.